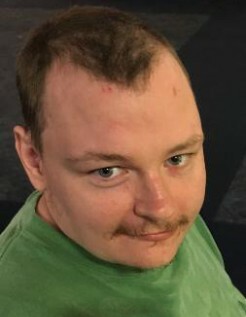 Christopher Frenzel, 31, of Omaha, NE, passed away April 9, 2019 at Omaha. He was born October 16, 1987 at Falls City, NE to Joy and Carol (Cooper) Frenzel. Christopher was raised in Falls City and attended Falls City Public Schools. He moved to Omaha at the age of 15 to continue his schooling. He was employed at the Autism Center of Nebraska at Omaha at the time of his passing. He was a member of First Christian Church at Falls City. Christopher is survived by his mother, Carol Frenzel, brothers, Jeff and his wife Rana, Brandon, sisters, Jennifer Willman and her husband Larry, Lacey Acton and her husband Tom, Amber Cunningham and her husband Tom all of Falls City, a biological sister, Rachel and caregiver, Dan Swantek of Omaha. He was preceded in death his father. A Celebration of Life Service will be held on Saturday, April 20, 2019 at 2:30 PM at Dorr and Clark Funeral Home with Reverend Fay Ann Blaylock officiating. The family will receive friends from 1 to 2:30 PM on the day of the service at Dorr and Clark Funeral Home.